All the juicer machines reviews on this website follow this statistical model. But which juicer machine is right for your needs? Let us move on and get some clarity and eliminate some of the most critical dilemmas. I am guessing you are still confused about the differences, advantages, and flaws of all these juicer machines types. Here’s a bold claim for you – by the end of this page, all that will be gone. I will show you which of the types will be best for your specific set of needs. If you come across a word auger, don’t get confused, it means the same as gear. Take a calm approach and don’t be dazzled with all the fancy terms, I’ll teach you how to look at stuff that matters. What is a masticating juicer machine? The word masticating comes from Greek and Latin words “masticatus” and “mastichan” which mean pretty much the same thing – TO CHEW. It’s what these types of juicers do to food. They “chew” it and break its cells. 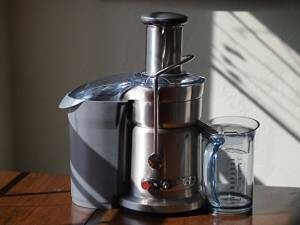 I’ve been juicing for over 20 years, and this Omega is the best juicer I ever had. Cheaper juicers I had ended up costing me more since I was going through them like crazy. I had zero problems with this one after 3 years of use. It just squeezes the life out of everything I put in it. My old centrifugal juicer was much better with soft fruit. Overall quality rating of 4.8 / 5. Let’s not forget that this rating is based on customer reviews, and based on that. 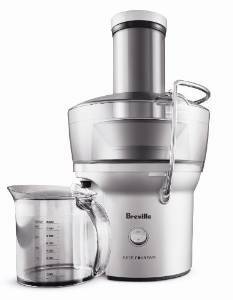 It seems that this is one of the top 3 juicers on the market today. 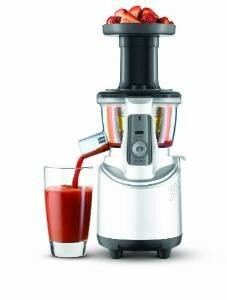 The best value for money on the market and this is my 4th juicer, so I know what I’m talking about. I love how easy it is to use and clean. Perfect for lazy juicers like me, since it’s so easy to use. the design is kind of outdated. Overall Quality Rating of 4.6 / 5, very close to it’s “big bro” (the J8006). 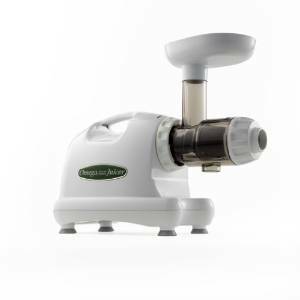 The same thing as a classic masticating juicer, the only difference being that these juicers are space-savers – same technology and approach to juicing with a twist in design. The word “upright” in the title here says it all. 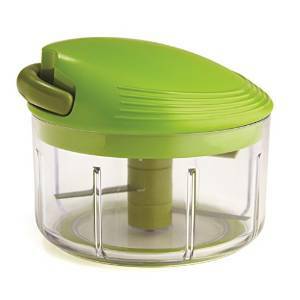 The advantages are the same as to those of a classic masticating juicer with one added -SPACE SAVED on your kitchen top. So, let’s get straight to our winner in the category. I’ve seen some serious issues with the augers getting stuck in my previous juicer. None of that with this Breville after a year of everyday use. The bigger holes on the screen make it so much easier to clean compared to my old centrifugal juicer. It works great for greens. The thing that extracts the pulp clogs when you are working with larger batches of food. Overall Quality Rating of 4.7 / 5. The upright design and space saving does call for some sacrifices (like the smaller tube for pulp separation), but with these things, it all comes down to your needs. Here is what customers say about it on Amazon. Amazingly little foam and dry, well-separated pulp. A piece of eye candy, it’s now a centerpiece in my kitchen. I know I paid big bucks for this juicer, but I just had enough of choosing a new juicer every year or so…after 3 and a half years of everyday usage and no issue, I am so glad I got this Kuving. If you are processing larger batches, after a while, the pulp starts to find it’s way into the juice. Overall Quality Rating is 4.5 / 5. Looking at the list of the compiled review ratings I can tell you that its main weakness is the price. 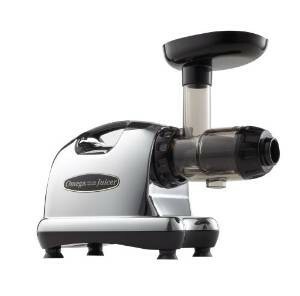 It’s a great juicer machine, no doubt, but with a price to match. 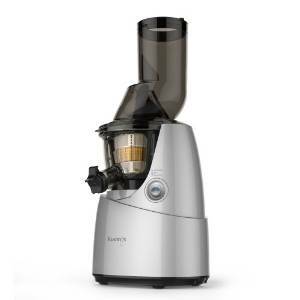 Triturating (two gear) juicers are the priciest juicers for home use. Naturally, they have some advantages that justify the price but only look into these if you are prepared to pamper yourself and splurge a little. more versatility – pasta, rice cakes. This juicer changed my life when deciding whether I should get it. I was looking at it as something that’s taking money out of my pocket. After 2 years I see it as the best investment I’ve made in a long time because it saved me so much time over the years. It works as advertised – a breeze to use and clean. The stack of parts is very smartly designed, looks neat and professional on my kitchen top. Overall Quality Rating of 4.7 / 5 at that price point says a lot about customer satisfaction. I have read a lot of negative reviews, and I was confused by most of them. It’s slow, but that’s why it gives more juice. After having said all that, the fact still stands that you do need a particular lifestyle for a twin-gear juicer to be the right choice for you. You need to have time on your hands, and you need to able to afford it. If these two are not an issue (wait, let me rephrase that) if these two weren’t an issue for me, I will go with twin-gear for my juicing. my old juicer would heat the juice; what comes out of this is cold and tastes fresh. 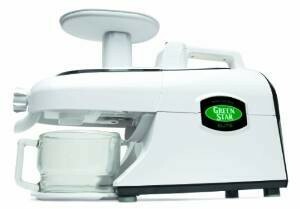 I’ve been using centrifugal juicers for a decade before getting this. It feels like a huge upgrade. I found it hard to use. the plastic in the gears cracked within 6 months. This model is not worth the price. It did score a solid 4.5 / 5 stars based, but at that price point, I saw too many reports of cracks and malfunctions. These are what most of us imagine when we say “juicer.” It’s the most common appliance and most widely available in stores. They operate like this: fruits and veggies go down a chute, and fast spinning blades pulverize the food. The result is then strained through a metal strainer. It’s not so good for storage since it goes sour quickly and loses a lot of nutrients (more oxidation in the juice). In other words, the juice from a centrifugal juicer is better for immediate consumption. A whole level above my previous Lack LaLanne juicer, which I loved btw. It’s that easy to clean up, really just two minutes. 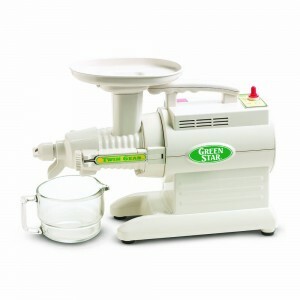 A cheap juicer that’s also good with the greens, this is a rare find. My screen cracked after a month of use, and now they are saying that the warranty doesn’t include it. It leaks just under the plastic bowl. It’s going back. Overall Quality Rating of 4.6/5 is implying an excellent product, especially at that price point. 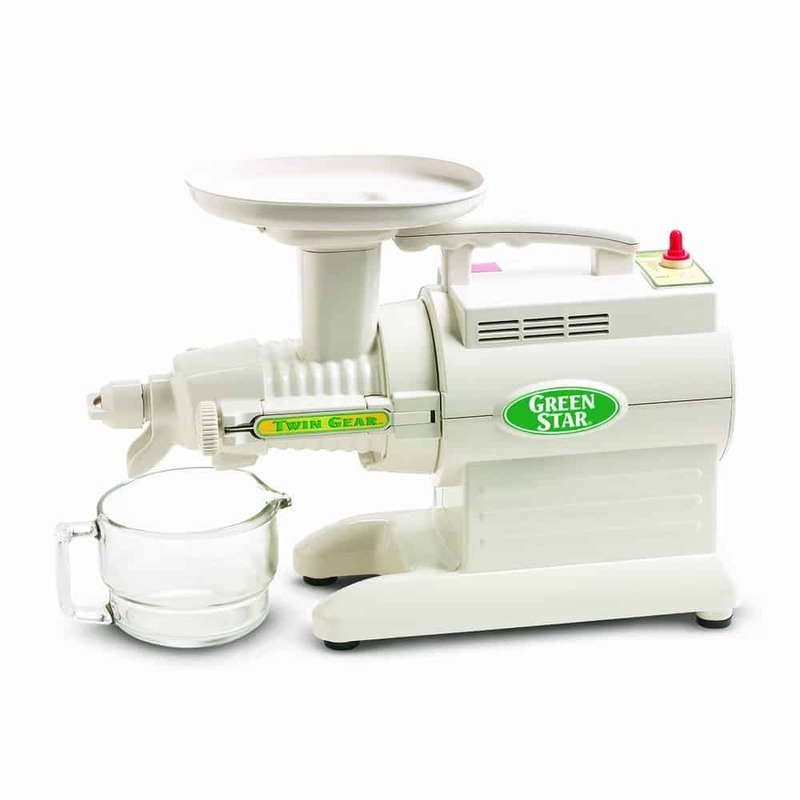 Again, I don’t mean to be harsh, but some of the negative reviews report things that the users should’ve known when ordering a centrifugal juicer – like the fact that it doesn’t get all the juice from the pulp. It has a well-deserved place among the winners. Can’t beat this value for money, and if you find it discounted as I did, it’s a freakin’ steal. Solidly built, looks like it’s going to last forever. I’m just hoping that my motor is at least close in quality. It always gets me angry when I see this “limited warranty” thing. It can mean so many things and gives them so much wiggle room if something goes wrong. Steel? Mine started corroding on the pipe after a year and a half. Overall Quality Rating of 4.4 / 5. A solid score for a centrifugal juicer. It looks great, and that alone can be deceiving, so bear that in mind. One more thing – look at the small print, the housing is not stainless steel – it’s dye cast steel, meaning it will corrode in time if not wiped dry after each use. 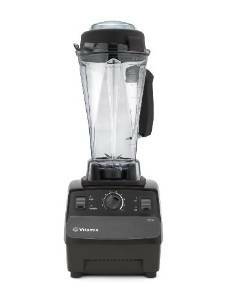 Certain types of juicers are particular and for a narrow market. One such example would be a wheatgrass juicer. However, the models presented here can do the jobs of those “specific” juicers and often, just as well. That’s why I call these juicers sub-types. If you are interested in any of those, you will find specific guides by using the search field on the website. This guide was about something else – I attempted to paint a broader picture. Cover 95% of what people are looking for in one scoop. I sincerely hope that what I presented here is of some help. Take care and enjoy your juice machine!